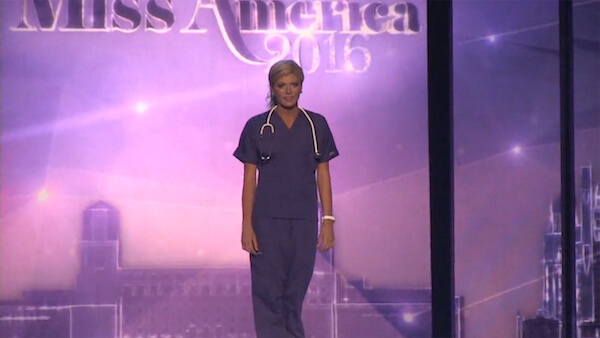 Something unusual has happened at this year’s Miss America competition, which was held this week at Boardwalk Hall in Atlantic City. 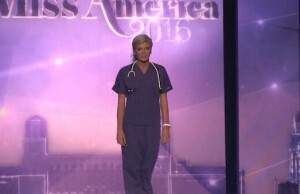 Miss Colorado decided to show the audience and judges something beyond beauty and entertainment talent – her heart. “Patients are people with family and friends, and I don’t want to be a nurse that ever pretends,” she concluded. You can listen to her inspirational monologue at the link bellow, and note that the final round of Miss America competition coming up on Sunday in Atlantic City.